April means arts on Kiawah! In this issue, read the results of the 2019 Directors' Election and learn more about two of the artists showing at the upcoming Lowcountry Art and Artisan Showcase at The Sandcastle. UPDATE: Quorum has been met! The election is now valid. Voting closes at 5 p.m. on Friday, March 8. Thank you to those who have voted, and there is still time to vote at kica.us/vote. You've invested heavily in Kiawah, so take the time to select the leaders you think will be the best stewards of the island. KICA's Annual Meeting, scheduled for Friday, March 15, is in danger of nullification. The KICA Annual Member Director Election must receive 51% of member votes by Friday, March 8 at 5 p.m. in order for quorum to be met and the election validated. As of Friday at noon, we are at 49.75% of 51% needed for quorum. - It's double the expense for all members. KICA's election and annual meeting cost approximately $11,000. A second election and meeting will cost about the same, and will be an unbudgeted expense in 2019. - It disenfranchises members who voted already. Prior to the second election, all votes received in the current election will be discarded without being counted. - It gives a few members a bigger say in what happens. A second election has no quorum, and fewer people generally vote in them. Those few voters decide the outcome of the election. If you have voted already, thank you. Please remind all your friends and neighbors to do the same. If you have not voted, please do so right now. The deadline is Friday, March 8 at 5 p.m. Don't wait -- voting is easy! Check your email for a message sent from our election facilitator, elections@vote-now.com, on March 5. The subject line was 'URGENT reminder to VOTE in Kiawah Election.' Simply click the link to complete your secure ballot in less than five minutes. If you have questions about the vote or haven't received your voting information, contact Holly Newman at holly.newman@kica.us. View all voting information at kica.us/vote. The board of directors is considering a new conveyance policy. Read about the policy and visit the website to read the policy in full. Cast your vote today in the 2019 Directors Election -- voting is underway through March 8. Find all this plus a look at charitable events you can take part in, island happenings and more in this month's Digest! Are you interested in association finance? All property owners are welcome to attend meetings of the KICA Finance Committee. This committee works closely with the board and accounting staff to provide advice for the board’s financial decision-making. Along with evaluating the budget and overall financing structure, the committee annually reviews the association’s insurance coverage, investment portfolio, and external reserve studies. Learn more about association finance, including monthly financial statements, annual audits and more, at kica.us/finances. The Kiawah Island Community Association (KICA) Board of Directors is considering the adoption of a new policy relative to the manner in which new common property or other maintenance responsibilities are accepted from a developer (usually Kiawah Partners, but this policy applies to any developer or entity). Review the policy to be considered here. KICA has not accepted any additional responsibility since the end of 2015, as explained in the "Facts and Rationale" section of the linked document. It has not done so because it believes a policy is needed to ensure a consistent process is followed when these decisions are made. KICA's policy development process has several steps, including a community input period prior to the board taking any action. This item is scheduled to be on the board's March 4 agenda, so we appreciate any written input byFriday, March 1. Please send your comments to board@kica.us so they can be considered in advance of the March meeting. The February issue of Digest invites you to come out to the 2019 Meet the Candidates event Thursday, Feb. 21 at The Sandcastle. Learn about Kiawah Cares' incredible success with a humanitarian campaign that brought out our members' generous spirit. This issue also includes information about association finances and upcoming events. Read the February 2019 Digest now. Quorum for the 2019 Member Director Election has been met. Voting is open until 5 p.m. on Friday, March 8. You are voting to elect two candidates to the KICA Board of Directors. Three candidates are running: David DeStefano, Brendan Magee and David Morley. When you vote, make sure to assign the proxy to the board secretary to ensure quorum is met. This ensures that the annual meeting and certification of the election can be held without 51% of the membership physically attending the annual meeting. This proxy does not affect your vote in any way. Visit kica.us/vote for information, candidate biographies and video interviews with the candidates. Learn about the candidates for the KICA Board of Directors in their own words, and look forward to a new year on Kiawah with COO Jimmy Bailey. This issue of Digest also includes information about the annual assessment statements and upcoming events. Read the January 2019 Digest now. KICA is funded primarily through property owner and commercial entity assessments (accounting for 82% of operating revenue and 39% of the Major Repairs and Replacements (MRR) revenue), a half percent transfer fee on real estate transactions called Contributions to Reserves or CTRs (38% of MRR revenue), commercial access fees (9% of operating revenue and 13% of MRR revenue) and investment income. In 2019, the association is anticipating revenue consistent with 2018. When allocating this revenue to pay for expenses (which is done in the latter half of the previous year – in 2018 for the 2019 budget year), funding is allocated to two discrete budgets, the operating budget and the reserve budget. The Operating Budget funds the predictable association functions including security and livability; land, lakes and general maintenance; administration; recreation and amenity operations. Of note for 2019, the Operating Budget reflects an 8 percent increase to personnel wages from the 2018 budget. KICA faces the staffing challenges of national low unemployment (2.7% in Charleston County), a dwindling supply of of nearby affordable housing and commuter traffic issues. In order to offer competitive wages and retain quality employees, KICA’s board voted in August 2018 to increase wages for hourly positions to a minimum of $13/hour, which alone accounts for nearly a 5% increase over the 2018 budget. KICA is also investing in island security and gate operations. Community members would like more stringent gate access procedures, but want to maintain rapid entry for members. Security is implementing new gate access management technology and will expand its pass office later this year to more tightly manage island access for those who arrive without a property owner guest pass or a resort reservation. Stay tuned for more information on these initiatives as they roll out in future months. The Reserve Budget funds major repairs and replacements to existing Kiawah Island infrastructure. This budget is planned with consideration to the projected life of each association asset for the next 40 years. The largest expense in the Reserve Budget for 2019, and consistently year-to-year, is drainage. Drainage projects will account for about 43 percent of the Reserve Budget. KICA maintains 43 miles of existing pipe, connecting 119 lakes and ponds, making up 14 drainage basins. Water levels can be managed, to an extent, within the drainage basins, which is crucial to prevent or reduce flooding that can accompany significant rain events. Other Reserve Budget expenses include the major repair to, or replacement of, 60 miles of roadway and bridges (30 percent of the Reserve Budget), 19 miles of leisure trails and 25 boardwalks (7.5 percent of the Reserve Budget), and large-scale landscape revitalization projects (8.5 percent of the Reserve Budget). Service has been restored to all KICA facilities around the island, including the Main Gate. Thank you to our members for their patience while we restored access. 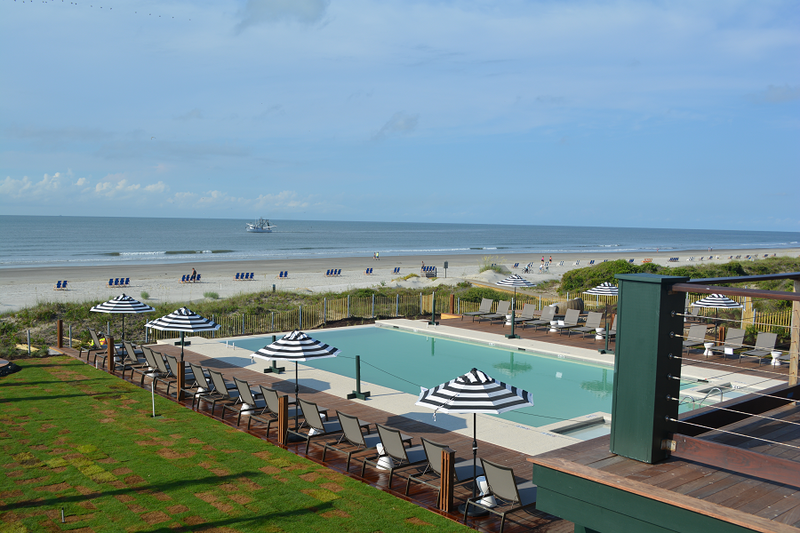 A first holiday on Kiawah takes a wintery turn for a member, leaving her with warm memories. Read one member's account of 2018's surprise snowfall in "A Winter Wonderland." View 2018's last issue of Digest now! - No connection of Duneside Road to Beachwalker Drive. - A limitation on the number of units accessible by the extended Duneside Road. - A financial contribution toward improvements deemed necessary to address safety concerns on the existing portion of Duneside Road. - KICA and the community would require legal protection that upon approval of any compromise, KP (or any successors) would be prevented from altering the plan in the future. - The proposed road extension terminates in a cul-de-sac instead of connecting to Beachwalker. - The maximum number of units accessible by the proposed extension has been reduced by close to half. - Kiawah Partners will contribute up to $100K to KICA for safety improvements. - A Declaration of Covenants and Restrictions will be filed to provide assurance that this issue is resolved once and for all. At the Nov. 5 board of directors meeting, the 2019 proposed budget will be reviewed and voted on. See the draft budget, as well as the meeting agenda, on the Board Meetings page. Every November, the Kiawah Island Community Association releases its budget for the following year. The budget is the result of months of work, with each department adding both routine items and anticipated needs. This includes any significant capital requirement which impacts the association reserves. The tentative budget is reviewed by KICA’s member-comprised Finance Committee, and put before the board of directors for approval at the November meeting. View the November issue of Digest to read more about budgeting, as well as a KICA Core Services article about the Administrative Department. There are many things that make Kiawah special. Pristine beaches, diverse wildlife and natural beauty bring people from all around the world to the island, but what makes them stay is Kiawah’s quality of life. KICA protect members' quality of life through our Rules and Regulations. This important document was updated by the board of directors at the Sept. 5 meeting. Visit the Quality of Life page for this and other important documents. - Yard debris will be collected on Friday. See notice below. - Town offices will reopen on Friday. - KICA offices and the Sandcastle will reopen on Friday. - Commercial traffic access will open at 2 p.m. Please use extreme caution when traveling the roadways as there is still debris. - High tide levels will be above average. Today high tide will be 10:43 p.m. – 6.3 ft.
- For Freshfields Village, store operations visit www.freshfieldsvillage.com/village-hours. - Charleston County Citizen’s Information line (843-746-3900) is open until 5 p.m. today. KICA’s Grand Opening Soiree event remains scheduled for Friday. Sandcastle pools will be closed Friday for event setup. The event is at capacity and Sandcastle parking is very limited. Please carpool with friends or consider riding a bike. If you have questions, email Rusty Lameo at rlameo@kiawahisland.org. All Kiawah property owners are invited to KICA's poolside party, celebrating the Grand Opening of the newly-renovated Sandcastle! The Travis Allison Band will entertain the crowd with original songs as well as party favorites. Cru Catering will provide a delicious selection of heavy hors d'oeuvres. The Town, KICA and Charleston County Emergency Management officials are actively monitoring Hurricane Michael as it makes landfall along the Florida Panhandle Coast as a Category 4. Michael is expected to move across southeast Georgia and South Carolina through Thursday gradually weakening to a tropical storm. Charleston County is currently under a tropical storm warning. Beginning tonight through Thursday evening, we are expected to experience tropical storm force winds, heavy rain bands, significant risks of isolated tornadoes, potential flooding and dangerous surf conditions. Specifically, our area can expect 1-2 inches of rain, sustained winds of 20-40 mph, and wind gusts up to 45 mph resulting in downed trees and large debris. Residents should prepare their property by securing any items that could become airborne. - There are significant risks of tornadoes with this storm. - There could be power outages and restricted access on bridges if the wind conditions warrant. More information on high wind bridge procedures can be found here. - Town offices will be closed tomorrow and will reopen on Friday. - KICA security will maintain 24 hour/day operations. - KICA offices and the Sandcastle are closed on Thursday, and are expected to reopen for normal business hours on Friday. - High surf and rip current advisories are in effect through Thursday evening. - Since Kiawah is expecting King Tides today and Thursday, tide levels will be above average. Tide Information: Wednesday High Tide: 9:58 p.m. – 6.63 ft. Thursday High Tide: 10:33 a.m. - 7 ft and 10:43 p.m. – 6.3 ft.
- KICA has deployed water depth markers in areas prone to flooding. - KICA has set its drainage system to reduce pond levels. - Commercial Work Restricted: No routine construction activity or maintenance, including landscaping, will be permitted. Contractors assisting with storm response or emergencies will be handled on a case by case basis. Deliveries and other commercial activity supporting ongoing operations at Kiawah Island Golf Resort and the Kiawah Island Club will be coordinated with those entities. - KICA’s Grand Opening Soiree event remains scheduled for Friday. Sandcastle pools will be closed Friday for event setup. - Thursday’s yard debris collection has been moved to Friday. - For Freshfields Village store operations, visit www.freshfieldsvillage.com/village-hours. - Charleston County Citizen’s Information line (843-746-3900) has been activated and will operate today until 8 p.m. and tomorrow from 8 a.m. – 5 p.m.
- Bees Ferry Landfill will be closed tomorrow. Members should continue to monitor the weather along with official communications from the Town and KICA. Members should also secure loose items around their property that could be damaged or become projectiles in heavy wind. While KICA will continue to keep you updated, we ask that you consult the National Hurricane Center and these other useful links for official information on the developing situation. Sign up for Code Red with the Town of Kiawah Island to stay ahead of the storms and get emergency notifications sent straight to your phone. In addition to severe weather updates, Code Red will also keep you informed of other emergency situations and critical community alerts such as official evacuation notices, boil water notices, missing child reports, and more. Sign up today! The Town of Kiawah Island, KICA, and Charleston County Emergency Management officials are actively monitoring Hurricane Michael as it approaches the Florida Panhandle Coast. Charleston County is currently under a tropical storm watch. Hurricane Michael is forecasted to make landfall along the Florida Panhandle Wednesday afternoon. Michael is then expected to move northeastward across southeast Georgia and South Carolina through Thursday as a tropical storm. Charleston County is expected to experience tropical storm force winds, heavy rainfall, isolated tornadoes, flooding, and dangerous surf conditions with significant impacts starting late Wednesday through Thursday and dissipating after that. Specifically, our area can expect sustained winds of 25-35 mph; wind gusts up to 45 mph; 2-3 inches of rain and elevated risk of rip currents. Since Kiawah is expecting King Tides on Wednesday and Thursday, tide levels will be above average. 10:43 p.m. – 6.3 ft.
- KICA is deploying water depth markers in areas prone to flooding. - TOKI Trash collection is running on its regular schedule, but that could change. - KICA’s Grand Opening Soiree event remains scheduled for Friday, but that could change. Here's a glance at what it looks like to join the KICA board, and the timeline for candidates: Quick Overview of Running for the KICA Board. For specific filing details or to obtain application materials and assistance with completing the process, contact holly.newman@kica.us. To view the Nominating Committee's time line and charter, as well as other board information, visit kica.us/board. The deadline for applications will be Oct. 16. As previously communicated, Governor McMaster has lifted the evacuation order affecting Kiawah Island. At 12:30 p.m. on Saturday, Sept. 15, Charleston County Sherriff’s turned island access responsibility over to KICA. We are extremely grateful to the Town of Kiawah and the Sherriff’s deputies for maintaining controlled access over the last several days. - KICA’s I.T. Department is on island to bring gate and phone systems online. Until this occurs, member calls to the gate may forward to voicemail. As always, call 911 in the event of an emergency. - KICA Land Management crews will report to the island at 8 a.m. tomorrow (Sunday) to begin clean-up. The majority of their efforts will be focused on blowing leaves, pine needles, and other debris from roadways. We ask those who are driving around the island to use caution as employees will be on or near the roads. - KICA’s Lakes Management is on island reestablishing normal drainage operations. It may take 4-5 days for water levels to return to normal. Fish kills and unpleasant odors could occur during this process as well. - The Sandcastle will reopen at noon tomorrow. After-hours fingerprint access is available today for those who have signed up for that option. - Beachwalker Center and all administrative functions will open Monday on a normal schedule. - Commercial Access will resume on Monday. KICA extends its thanks to the Town of Kiawah Island and all those involved in Kiawah’s Emergency Management plan. The unique governance structure on Kiawah requires significant coordination between entities and a spirit of cooperation. Special thanks go Mayor Weaver and town administrator Stephanie Tillerson for their leadership. Governor McMaster has lifted the evacuation order affecting Kiawah Island. There are no additional restrictions to residents returning to the island. All public safety personnel are on the island, and all public services (water and electric) have continued to operate without interruption. Sheriff Deputies will no longer be restricting access at Betsy Kerrison once KICA security establishes operations at the main gate. All Kiawah Island roads are passable, although there is, and will continue to be, some minor debris on our roads. KICA will communicate directly to residents any additional information concerning road conditions or clean-up activity. All commercial businesses, including those at Freshfields, remain closed. If you are intending to return to Kiawah today or early tomorrow, there is still significant weather on many routes to the coast, so plan accordingly. Today, the town participated in a conference call with Charleston County Emergency Management Department and regional counterparts to discuss Hurricane Florence. Hurricane Florence made landfall in North Carolina this morning and is moving at a very slow pace to the southwest dumping significant rain to the areas in its path. The information below is based on the expected impact at this time. Due to the nature of this storm, conditions are subject to change. At this time, Governor McMaster has not indicated when he intends to lift the evacuation order. With respect to the Charleston area and Kiawah impacts, the various models and predictions have taken us on a roller coaster ride over the last few days. The latest forecast suggests that winds will pick up late this afternoon around 4 p.m. Sustained winds could be in the 30 mph range, with gusts reaching tropical storm strength. These conditions could last throughout tonight and through the day tomorrow. Along with the wind, rainy conditions are expected for most of the weekend. - Saturday: 12:49 a.m. and 1:34 p.m.
- Sunday 1:39 a.m. and 2:28 p.m. Right now, Charleston County deputies continue to provide controlled access to Kiawah to residents and essential staff. Post-storm, access to the island will be restricted during the damage assessment. If the assessment indicates that roads are not passable, residents will not be able to get back on until the roads are passable. - Kiawah is still under the mandatory evacuation order issued by the governor. - Conditions could become severe during travel this evening or tomorrow. - We still have the potential for loss of power to the island. - All businesses on and near the island are closed. - Public safety support (security, fire and EMS) are largely off the island and response times may be delayed. Tomorrow, we will have a better gauge on what the storm will bring and re-entry time frames. Kiawah’s re-entry plans are contingent upon the storm passing and access to the Charleston area. Governor McMaster has to first lift the evacuation order. Mayor Weaver will then work with all the entities to open the island as quickly as possible and will announce re-entry date and time. Re-entry is contingent upon the completion of road damage assessment which includes assessing debris, flooding and general safety conditions of the roads. The main arteries of Kiawah Island Parkway, Governors Drive, and Ocean Course need to be navigable. The damage assessment is tentatively scheduled to begin Sunday at 7 a.m. In regard to electricity, the best-case scenario is that power is present island wide. However, it is possible that power will be interrupted. The town will permit re-entry to the island prior to full power being restored; however residents should expect uncomfortable conditions such as the absence of hot water, refrigeration and HVAC systems. Kiawah Island’s sewage systems depends on a series of electric pumps to remove the waste water. If this occurs, residents will need to reduce flushing in order to avoid a backup of the waste water system on the island. All of this is subject to change if storm conditions change. - Berkeley Electric Cooperative cannot guarantee uninterrupted power during a major outage and will not be able to provide a timeline for restoration until after the storm has passed and the damage to the system can be evaluated. Berkeley Electric Cooperative will have crews on-site at key locations to monitor water levels. In the event that water levels threaten to flood the substations, the decision will be made to shut them down before suffering catastrophic damage. Although this may be inconvenient, this process will actually speed up recovery times. - Debris management crews are on standby and will be deployed as soon as possible. - Commercial access to the island is closed. - The Station is closed but gas pumps are on for credit purchases as long as there is power to the island. - KICA's pond system has been set to max drainage since Tuesday in anticipation of heavy rain and flooding. - County traffic is not being restricted on I-26. - Please be aware there are strong rip currents and high surf along the Atlantic Ocean. Please do not enter the water. - If conditions warrant, critical public safety services including Fire and EMS may withdraw their equipment and personnel from the island. - If conditions are severe, power and water systems could be shut down. If that were to happen we will communicate that message promptly. - If you have special needs regarding medical assistance, contact the Disabilities Resource Center at (843) 225-5080. - Charleston County Citizen Information Line is open 24 hours daily at 843-746-3900. Today, the town participated in a conference call with Charleston County Emergency Management Department and regional counterparts to discuss Hurricane Florence. Hurricane Florence has downgraded to a category 2 but is a dangerous storm and has grown in size. As an interesting point, Florence has a larger radius than Hurricane Hugo. Charleston County is still under a hurricane watch with conditions expected to deteriorate on Friday and last through Sunday. I-26 lane reversal will end today at 6 p.m.
Kiawah may still experience tropical storm force winds, sustained wind speeds of 30-35 mph, wind gusts up to 75 mph and storm surge from 2-4 ft. Kiawah is still likely to experience power outages, large debris, downed trees, and flooding on low lying roads. Once the storm has passed, the governor has to first lift the evacuation order and then Mayor Weaver has to announce island re-entry date and time. Re-entry will not be permitted until after damage assessment is complete. Remember after Matthew re-entry was not allowed for 48 hours. Residents should plan on a similar situation if conditions are similar to Matthew. - Charleston County Sheriff Deputies have established a control point on Betsy Kerrison just before the roundabout and is restricting access to Kiawah and Seabrook islands to only property owners and essential staff. - Berkeley Electric Cooperative is urging residents of the islands to prepare for extended outages. This is especially important for members who have medical needs requiring power. Berkeley Electric Cooperative cannot guarantee uninterrupted power during a major outage and will not be able to provide a timeline for restoration until after the storm has passed and the damage to the system can be evaluated. Berkeley Electric Cooperative will have crews on-site at key locations to monitor water levels. In the event that water levels threaten to flood the substations, the decision will be made to shut them down before suffering catastrophic damage. Although this may be inconvenient, this process will actually speed up recovery times. - County traffic is not being restricted except on I-26 which will end today at 6 p.m.
- Please be aware there are already strong rip currents and high surf along the Atlantic Ocean. Please do not enter the water. - Residents will not be allowed back into the town until deemed safe for reentry and authorized by the Mayor. We will release that information via our website email notifications, social media and CodeRED. - Emergency teams will be evaluating through the duration of the event. During the past two days, the forecast for Kiawah has changed with each hurricane center update. Yesterday, we were planning for more prolonged tropical storm conditions. This morning the forecast is more positive. Since Kiawah is not expected to be impacted until late Saturday or Sunday, this will undoubtedly change again. Based on the weather advice available to us, the town and KICA are planning for a storm scenario much like Hurricane Matthew two years ago. Some tropical storm winds, with higher gusts, and heavy rain. We are not expecting hurricane force winds and we are not expecting significant storm surge. If you were on Kiawah two years ago, you will remember the impact from Matthew. We saw a great deal of debris from trees and other vegetation, a few uprooted trees, heavy street flooding, especially on the Parkway, and damage to the beach and walkovers. We did not see damage to structures, and because of the minimal storm surge, there was little flooding of homes. The town and KICA are already coordinating to make a quick assessment of the island as soon as the weather clears and commence clean up, so residents can return as quickly as possible. Our goal is for an immediate return, but please recall that with Matthew work crews needed about 24 hours after the storm passed to get our major roads open, and electrical power did not return until after that. The island is quiet. It appears that almost all residents have left, and all businesses are closed. Sheriff Deputies are stopping motorists at Betsy Kerrison, so the island is secured. The town will continue to send out its regular updates each afternoon. We will update you on the forecast, conditions on the island, and information to help you plan for your post-storm return. Berkeley Electric has urged residents of the islands to prepare for extended outages. This is especially important for members who have medical needs requiring power. Berkeley Electric Cooperative cannot guarantee uninterrupted power during a major outage and will not be able to provide a timeline for restoration until after the storm has passed and the damage to the system can be evaluated. We will keep you advised. As I said in my message Tuesday, the forecast for this storm is fluid and we hope that all of this caution and planning is unnecessary. But we are continually reminded that this storm has been difficult to predict, and these expectations can change. You should be assured that the employees of the each of Kiawah's governing, business, and public safety organizations are prepared and working as a team to deal with whatever might occur. Hurricane Florence has shifted in the last 12 hours. While expected landfall is in North Carolina or the northeast quadrant of South Carolina, Charleston County is under a hurricane watch and is going to see severe weather conditions. Conditions are expected to deteriorate into Friday, with the effects of the storm lasting at least through Sunday. Kiawah could experience at least tropical force winds, with sustained wind speeds of 30-35 mph and wind gusts up to 75 mph. Kiawah is likely to experience conditions similar to Hurricane Matthew. If you have not already evacuated, we encourage you to do so. If you choose to stay, you can expect power outages, large debris, downed trees and flooding on low lying roads. Once the storm has passed the governor has to first lift the evacuation order and then the mayor has to announce island reentry date and time. Reentry will not be permitted until after damage assessment is complete. Remember after Matthew reentry was not allowed for 48 hours. Residents should plan on a similar situation if conditions are similar to Matthew. Today at 5 p.m., Charleston County Sheriff Deputies will be restricting access to Kiawah and Seabrook islands to only property owners and essential staff. Deputies will establish a control point on Betsy Kerrison, just before the roundabout. This restriction of public entry to the two islands will be in addition to KICA and Sheriff coverage on the island and provide evacuated residents greater assurance that the island and their homes are secure. If conditions warrant, critical public safety services including law enforcement, fire and EMS may withdrawal personnel from the island. The town is in contact with Kiawah Island Utility and Berkeley Electric and we will pass long any information regarding their services. - Commercial access to the island will end at close of business today. - The Station is now closed but gas pumps will be left on for credit purchases as long as there is power to the island. - KICA’s pond system has been set to max drainage since Tuesday. It typically takes 3-4 falling tide cycles to accomplish a significant draw down of water levels, as downstream ponds empty into the river, and then refill with water from upstream ponds. The overall system is draining, but each individual pond rises and falls throughout the process. It’s not unusual for large fish kills to occur as a result of this process. - County traffic is not being restricted except on I-26. - Concurrent with the evacuation order and if condition warrant, critical public safety services including fire and EMS may withdrawal their equipment and personnel from the island. - Residents will not be allowed back into the Town until deemed safe for reentry and authorized by the mayor. We will release that information via our website (www.kiawahisland.org), email notifications, social media and CodeRED. Yesterday, Governor McMaster issued a mandatory evacuation order for all South Carolina coastal communities including Kiawah, and I-26 lane reversals began at noon today. This evacuation is in anticipation of Hurricane Florence making landfall on the Southeastern coast late Thursday or early Friday. While most models continue to show the hurricane tracking toward North Carolina, officials warn that the path could shift again, and dangerous tropical conditions may extend more than 100 miles from the center of the storm. - Should conditions deteriorate, public safety personnel including Sheriff’s deputies, the fire department, and EMS will leave the island. KICA and town staffing will diminish or cease as employees comply with the order and seek safety. - The island could lose power, internet and other utilities, perhaps for an extended period. - Portions of the island and surrounding area could be impassable for an extended period. - Access to the island could be closed. - One benefit to early evacuation is that you may choose your own route. Now that the evacuation order is in effect, residents may be required to take the official evacuation route through Kiawah’s predetermined Zone. - Kiawah/Seabrook Island is in ZONE A: Bohicket/Main Rd. to US 17. US 17 south to SC 64 to Walterboro, then to North Augusta. - In order to facilitate the governor’s mandatory evacuation, KICA’s Main Gate will maintain normal operations on Wednesday, Sept. 12 through the business day. If the mandatory evacuation is still in place at the close of business, the inbound gate will be closed and personnel will leave the island. Gate operations will resume as soon as the evacuation order is lifted and personnel can make it back to the island. - At this time, Commercial Access will remain open as long as the gate is open. - The Sandcastle is closed and all classes and events are canceled until further notice. It will reopen as soon as we’re able to get employees back to the island. - KICA’s Administrative offices closed at noon today. - KICA’s pond system has been set to max drainage since yesterday morning. It typically takes 3-4 falling tide cycles to accomplish a significant draw down of water levels, as downstream ponds empty into the river, and then refill with water from upstream ponds. The overall system is draining, but each individual pond rises and falls throughout the process. It’s not unusual for large fish kills to occur as a result of this process. - Town offices closed at noon today. - Trash collection is suspended for the rest of the week. Tentatively trash service will resume on Monday. Please make sure your cans are pulled in and secure. - Kiawah Island Golf Resort facilities will close on a staggered schedule, with all resort operations closed by Wednesday afternoon. - The Station will be open through midafternoon Thursday after which the gas pumps will be left on for credit purchases as long as there is power to the island. Pumps will be filled each day as long as they can get out to the Station. - If conditions are severe, power and water systems could be shut down. KICA works very closely with the Town of Kiawah Island (TOKI) and other agencies in preparation for storms or other emergencies, and we are posting this message on behalf of TOKI. The order does not require that all residents leave the island by today at noon. If you have not already prepared, please take the necessary time to assure that your property is secure. Especially store or secure objects outdoors that might endanger other property in high winds and protect personal property at ground level that might be susceptible to localized flooding. It’s better to protect against all three potential effects of a storm - wind, rain and storm surge – than try to guess which of these, if any, Kiawah Island might experience. Please don’t delay. At some point support from town, KICA, fire, EMS and law enforcement will diminish to minimum levels as these employees also comply with the evacuation order. Any town, KICA or public safety personnel that remain on the island will be focused only on critical operations and security. Similarly, local commercial operations will be winding down over the next day or two as well. We will stay in continued contact with the providers of critical services, including water and sewer, power and communication. While each is committed to keeping their services operating, we know from our experience in previous weather events that these services, especially power and communications, are vulnerable to disruption, particularly if the island experiences extended heavy rain, higher than normal tides, or storm surge. Kiawah Island Utility and Berkeley Electric participate in the town’s emergency management process and we will inform you of any change affecting these provider’s services. We and KICA will allow continued access onto the island for contractor and service personnel to assist residents in securing property, as long as weather conditions allow and as long as we have sufficient town, KICA and public safety support on the island. You should anticipate that at some point, as with both Hurricane Mathew and Tropical Storm Irma, we will close or restrict access onto Kiawah. This is done to better secure the island and your property while individual and commercial property owners are absent. We will issue a communication prior to taking this action. KICA will also communicate separately should they initiate any more restrictive measures affecting roads inside the main gate. As in past weather events, our goal is to provide continual communication to our residents and property owners and we will keep up a regular communication schedule. Let’s hope that by the weekend the storm has passed, had little or no impact on Kiawah, and all this preparation will have been unnecessary. But let’s also remember that a tropical storm is unpredictable, and even if we are not in its direct path the effects can extend along a wide path. - One benefit to early evacuation is that you may choose your own route. After the evacuation order is in effect, residents may be required to take the official evacuation route through a predetermined Zone. - KICA’s Administrative offices will be open tomorrow, but other facilities including the Sandcastle will be closed so staff can execute shutdown plans. - Security will remain on island as long as it is deemed safe and personnel are able to get to Kiawah. It is uncertain at this time how the lane reversals and evacuation order will impact our ability to get personnel to Kiawah, many of whom rely on I-26 to get to Kiawah. - KICA’s pond system has been set to max drainage. It typically takes 3-4 falling tide cycles to accomplish a significant draw down of the ponds. - Contractors will be allowed to access the island on Tuesday. It is possible that commercial access will be restricted at some point on Wednesday. - Town offices will be closed beginning tomorrow at 12:00 p.m.
- The Station will be open through mid-afternoon Thursday, after which the gas pumps will be left on for credit purchases as long as there is power to the island. Pumps will be filled each day as long as they can get out to the Station. The Town of Kiawah Island, Kiawah Island Community Association (KICA) and Charleston County Emergency Management officials are actively monitoring Hurricane Florence, which forecasters indicate could impact the South Carolina coast next week. The official report from the National Weather Service is that there is uncertainty about Florence’s path, making it difficult to determine what the impact will be. The town has been informed by the Charleston County Emergency Operations Center that if the storm continues to track towards the South Carolina coast and increase in intensity, the governor will consider issuing an evacuation order as soon as Monday for affected coastal communities. We stress that a decision by the governor has not been made at this time. We will advise members promptly should this change. The town and KICA are working together for advanced preparations in the event that our area would be directly affected. While KICA will continue to keep you updated if Hurricane Florence affects our coastline, we ask that you consult the National Hurricane Center and these other useful links for official information on the developing situation. For the first time, KICA will be emailing all statements for KICA charges and assessments to the primary household member beginning Sept. 1. If your email address needs to be updated, or you would prefer to receive a mailed statement, please contact Member Services. This change will reduce paper waste and printing and mailing costs for KICA. Contact Member Services at 843-768-9194 or MemberServices@kica.us. All Kiawah Island Community Association (KICA) members are invited to join us for a Kiawah Community Conversation. These community engagement sessions provide an opportunity for the board to learn property owners’ perceptions of the current and future direction of the community, which will help guide the association’s strategic planning. David McNair, president of The McNair Group, will facilitate these meetings, and you’ll have a chance to register your thoughts and perspectives in a 'live response feedback’ that will establish priorities for discussion. We promise this will be engaging and informative. NOTE: please bring your smartphone to participate in live text voting. Three community engagement sessions are scheduled, and spread over a period of months. The remaining session will be held in The Sandcastle ballroom on Thursday, Nov. 15 at 9 a.m.
Reservations are not required. We hope you will join us at one of these sessions and be a part of this ongoing conversation. After eight months of renovations, The Sandcastle is welcoming members back. Stop by to have a dip in the beautiful oceanfront pool or the refreshed family pool, take a fitness class with an ocean view, or enjoy a relaxing beverage at the new bar. The Castle Grille and Sandbar are serving delicious food and beachy beverages by Cru Catering. - The new bath house adjacent to the adult pool will remain under construction for at least a more weeks. The bath house at the family pool will be open. - Boardwalk 8B will remain closed until the bath house construction is complete. Boardwalk 8A is open. A ribbon-cutting ceremony to celebrate The Sandcastle's official grand opening is scheduled for Thursday, Aug. 30 from 5:30 - 7 p.m.
Tuesday, June 12 | Kiawah Island Municipal Center | 7 a.m. - 7 p.m.
Statewide primaries will be underway Tuesday, June 12. While The Sandcastle is closed for renovations, the election will take place at Kiawah Island Municipal Center (4475 Betsy Kerrison Parkway). 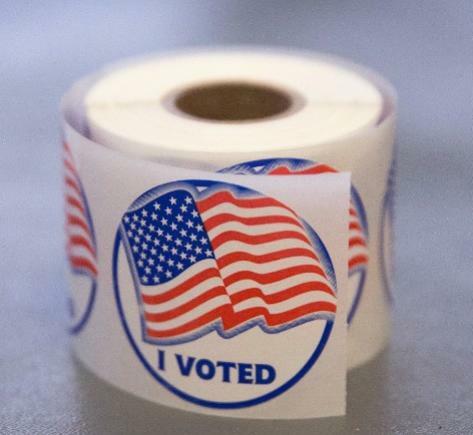 Voters will be asked to provide one of the following photo IDs: S.C. Driver's License, ID Card issued by S.C. Department of Motor Vehicles, Federal Military ID or U.S. Passport. For more information regarding the state primaries, please visit www.scvotes.org or the Charleston County Board of Elections and Voter Registration. KICA is looking for a small group of members to help build and maintain a board that has the talent, skill and diversity to provide effective governance for the community. Building the Nominating Committee is the first step in preparations to replace two board directors when their terms end in March 2019. Committee work for the 2019 election will begin with the appointment of the committee at the July 2 Board of Directors meeting. Times and dates of meetings will be determined once the committee is established. September and October are anticipated to be the most active months. The deadline to volunteer for the Nominating Committee is Monday, June 25. Identify, solicit and interview candidates - The committee will work to identify qualified candidates who will consider running for a board seat. If unique skills (i.e. finance, legal, engineering, etc.) or if a segment such as full-time residents or club members are under (or over) represented, the committee will seek candidates with these skills and characteristics. In meeting with potential candidates the committee will explore their skills, experiences and qualifications. It will also develop a sense of candidate's interpersonal skills and ability to work in the board setting. Recommend candidates - It is important to have a board whose overall makeup provides necessary skills and experiences and with varied perspectives to provide KICA with highly-functioning governance. The committee will provide its recommendation for candidates it considers the best potential members. Potentially, more candidates will run than there are seats available. In that case, the committee may provide recommendations for all or only some of the candidates. To read more about the Nominating Committee and its work or to find out how you can become a member, visit kica.us/board. In January, Digest launched the first in a series of articles and surveys on the core services provided by KICA. While big projects such as the Sandcastle renovation are exciting, execution of a set of basic responsibilities is the backbone of the community. The purpose of this series is to inform, but also to gain broad-based feedback from our members via brief surveys. The June Digest featured the third article in this series, focusing on Major Repairs and Maintenance. Read the article online. As with the first two articles in the series about Security and Safety and Land and Lakes, KICA asks members to take a moment to answer a few questions regarding KICA's Major Repairs and Maintenance. Please complete this brief poll online and help KICA continue to plan for the future and better serve its members. The 2017 Audited Financial Statements, along with other financial information, can be viewed at kica.us/finances. To view the full Treasurer's Report presentation from the 2018 Annual Meeting, visit kica.us/treasurerreport. Over the last several months, the KICA Finance Committee has worked to craft a new Investment Policy Statement to govern the manner in which the community's reserve funds are invested. At last week's meeting, the committee voted unanimously to send this draft to the KICA board for consideration. KICA's standard procedure is to share policy drafts with the community for input prior to making a final decision. After reviewing the attached draft, if you wish to share any comments, please send them to board@kica.us no later than 5 p.m. on Wednesday, May 2. Contributions to Reserves (CTR's): CTR's are transfer fees on real estate sales, and represented 43% of reserve fund revenue in 2017. The Reserve Assessment: Formally referred to as the Supplemental Annual Assessment, this assessment is billed to all members along with the Annual Assessment. It represented 39% of reserve fund revenue in 2017. Commercial Access Fees: Commercial Access Fees are charged to contractors and other service providers who perform work on Kiawah Island. Beginning in 2017, a portion of these fees was allocated to the reserve fund for major repairs. They represented 14% of total reserve fund revenue. The remaining revenue (4% of total in 2017) is provided by investment income. In some years these revenue sources are sufficient to cover all reserve expenses. However, there are times when expenses exceed revenue, and reserve funds are needed to make up the difference. Having a healthy reserve is the best way to avoid special assessments, and KICA's reserve stands at $7.5 million today. KICA's investments have historically been held primarily in cash and money market accounts, though in recent years the association has built a small ($3.8 million) laddered portfolio of high quality, "A" rated or better corporate bonds. This strategy has improved KICA's investment returns, but not enough to keep pace with inflation. Continued losses in purchasing power could have a significant negative impact on KICA's reserve funds over time. The Finance Committee has drafted a new investment policy with the goal of keeping up with inflation. The committee believes this can be accomplished by investing approximately 70% of the funds in fixed income investments similar to what we have done in the past (individual investment grade bonds with maturity of 10 years or less) and 30% in equities (active and indexed mutual funds, no individual stocks or alternative investments). This balanced investing strategy has historically been very effective (it has never lost money over a 5-year period), although it would be subject to some moderate level of risk and volatility. More aggressive approaches weren't deemed necessary to meet KICA's objectives. The management of the portfolio (within policy guidelines) will be the responsibility of Moneta Group. This firm has done an outstanding job managing KICA employees' 401K funds, and was selected after an extensive review process by the Finance Committee and Board of Directors. Thank you in advance for your input. Any decisions on this topic will be reported after the May Board meeting. The April 4, 2018 Planning Commission agenda includes an item related to a final plat associated with Kiawah Partners' development of parcels on the west end of the island. Given the community reaction to this matter, I am certain you are aware of it. The Kiawah Island Community Association elected board previously went on public record expressing their opposition to the substantial change of the final plat, and shares the many concerns that have been expressed by community members. KICA's covenants establish a number of functions and responsibilities, including the provision of security services, the operation of guardhouses, the ownership and maintenance of its common properties, and other authorized services. Buyers for 40+ years have relied on these covenants, and property values have most likely benefited from their existence, along with the exclusivity and security provided by a gated community. Subscribe to Around Kiawah today! Introducing Around Kiawah, KICA's new member-to member email discussion group. Around Kiawah offers a four-in-one platform; subscribe to just one topic category, all four, or anywhere in between. Select from events, classifieds, property services and discussions. This unmoderated discussion platform will replace the outdated KICA-List platform. Assuming most users of our former KICAList will move to Around Kiawah, there may initially be a slight delay in verifying property ownership. After the initial phase, verification is expected to be prompt. KICA-List will be phased out on May 1, 2018. For more information or to sign-up for Around Kiawah, visit kica.us/around-kiawah. The April 2018 Digest is Now Available Online! In this issue, get details on exciting new enhancements coming to the Kiawah Island Golf Resort, including a new beachfront hotel, conference center, Cougar Point Clubhouse, and other additions. Also, get the latest on the Sandcastle renovations, hear from new KICA Chair Ben Cheatham, learn about Around Kiawah - a new way for members to connect with one another - and more. The proposal is expected to go before the Town of Kiawah Island Planning Commission at its April 4 meeting, which will be at 3 p.m. at Town Hall, 4475 Betsy Kerrison. Check the town's website for meeting agendas, changes, etc. On Feb. 21, Town of Kiawah Island Mayor Craig Weaver issued a statement about a plan by Kiawah Partners (KP) to extend Duneside Road to the Timbers property in West Beach, and create an additional security gate and access point to the island. In his statement, Mayor Weaver indicated that the town's Planning Commission would defer action on the proposal until April, giving all parties, as well as the community, more time to understand the issue and provide input. Read the mayor's statement here. Opening the road is a reversal of KP's prior commitment that this location would not serve vehicular traffic. KICA's five property owner elected directors met earlier this week by phone to discuss concerns expressed by community members, as well as KICA's role and legal rights associated with this issue. The elected board shares in the frustration and disappointment expressed by many that this has occurred. However, its primary focus is on assessing the traffic, safety and security implications, as well as what legal authority KICA has to influence the situation. In that regard, the deed that conveyed the road to KICA in 1982 includes certain reserved rights for the developer, including the right "to use the aforesaid property for purposes of ingress and egress and the right to cross and recross the said property." View a copy of the deed. The one month delay announced yesterday by Mayor Weaver gives KICA leadership and the community some time to understand the proposal, and offer input. As KICA continues conversations with Kiawah Partners, we'd like to hear from you. We invite members to make comments at the conclusion of the Annual Meeting next Friday, March 2 at 2 p.m. Please note that due to construction at The Sandcastle, the meeting is being held at the new Town Hall on Betsy Kerrison. All board members and key staff will be in attendance, and it will be a good time to offer your perspectives. Like many of you, we're still trying to understand the implications associated with this. On Thursday, Dec. 7, representatives from KICA, Kiawah Partners (KP) and the Kiawah Conservancy officially signed and executed the Parcel Trade Agreement. The agreement was approved by vote of the membership in September, with 87% of the voters supporting the trade. Representatives from KICA, KP and the Conservancy Signed the Parcel Trade Agreement on Dec. 7, 2017. "We would like to thank everyone who helped make this trade a reality," said KICA COO Jimmy Bailey. "This agreement is not just beneficial to KICA, but to the entire Kiawah community." Part of the agreement included KP granting the Kiawah Conservancy a favorable purchase option on a 6.2-acre parcel directly across from Kiawah Island Real Estate that has zoning and development rights for 19 units. As was announced by the Conservancy earlier today (view full announcement), they have officially raised enough funds to purchase the land. "We would like to congratulate the Conservancy and the community for raising the necessary funds to protect this parcel of land," said Bailey. "This transaction, along with the two parcels acquired by KICA through the vote, will help protect the entrance to our island in perpetuity." For more details and background on the Parcel Trade agreement, visit kica.us/parceltrade. Construction at The Sandcastle is really coming along! We were lucky enough to get a look at the progress on Thursday, Dec. 7. The majority of work so far has been focussed on the entry way and first floor fitness space (which is being completely reimagined to add additional space and eventually provide gorgeous ocean views!). For the latest updates on the project, follow KICA on Facebook and Twitter, and sign up for our weekly news emails. KICA COO Jimmy Bailey presented the 2018 budget for approval at the Nov. 6 board meeting. This presentation highlighted the variety of concerns and considerations taken into account during budget creation. Hear Jimmy Bailey's comments and explanations of the presentation by watching on the KICA YouTube Channel. Loggerhead sea turtle nesting season is in full swing. Nesting activity typically begins in mid-May, and female turtles will continue coming ashore to nest until August. Nests will begin hatching in July and finish by October. -If your property is visible from the beach, turn out all exterior lights (flood and deck) from dusk to dawn. -If any interior lights are visible from the beach or cast light on the beach, close blinds or drapes at 9 p.m. or turn them off. -Flashlights should not be used on the beach at night during nesting season. Do not carry flashlights or play flashlight tag on the beach. -Fill in large holes dug on the beach at the end of the day, as adults and hatchling sea turtles can become trapped in them. -Observe sea turtles quietly from a distance - never disturb a nesting sea turtle or hatchlings. -Do not shine lights on a sea turtle, including cell phones and flash photography. Help keep Kiawah special and our turtles safe by following these guidelines or sharing them with family, friends and vacation rental guests. Learn more about Kiawah’s Loggerhead population. During Hurricane Matthew, KICA received damage to 23 of its 25 boardwalks. Our general maintenance team was able to get some of these boardwalks re-opened with minor repairs. The timeline for boardwalks requiring extensive repairs is somewhat longer, though all involved have been extremely cooperative in order to expedite this important work. KICA uses a consulting structural engineer to ensure what we build is safe and will withstand many years of “normal” wear and tear. Once that work is complete, it then goes through the approval process with the Architectural Review Board (ARB) and the Town of Kiawah Island (TOKI). This ensures TOKI’s ordinances are followed, as well as the regulations imposed by the South Carolina Department of Health and Environmental Control’s Office of Ocean and Coastal Resource Management (SC DHEC-OCRM). We initially placed the priority on boardwalks in the area of Eugenia Avenue to Windswept, as this was an area where KICA had no open boardwalks. - As of Feb. 15, KICA has completed construction on boardwalks 8A, 9, 12, 13, 14, 15 and 16. - We just received approvals on 7, 10, 29, 31 and 33, and are proceeding to contract shortly. - Our other boardwalks remain in design. In building the beach boardwalks, KICA adheres to design regulations specified by the ARB, TOKI and SC DHEC-OCRM. To comply with these regulations, boardwalks must meet the beach perpendicular to the shore and within 10 feet of the primary dune. In the five years preceding the storm, we had rebuilt 22 of our boardwalks (approx. $1 million) and were fortunate that significant accretion of the beach resulted in a dune profile suitable for ramps in most locations. Unfortunately, those dunes are gone – along with the bulk of the previous five years’ investment. This loss has necessitated we use steps as a repair solution in many locations. We are not permitted, under normal regulations, to run a boardwalk parallel to the shore and dune line, and must seek an exception for this type of construction. Our preference is to build ramps perpendicular to the shore where the dune profile accommodates this type of design; however, Hurricane Matthew has caused us to consider new guidelines that provide an objective way to determine where exceptions should be considered. Alligators are a common sight on Kiawah Island and can be found in just about every pond on the island. Almost everyone who lives, works or visits our island has seen these animals. Now that spring is here, alligators have become much more active and visible and have resumed feeding after the cold winter months. While alligators can appear lethargic and docile, they are capable of great speed, power and agility, especially when pursuing prey. In early April, an alligator on the western end of the island caught and killed a dog that had escaped from a nearby home. This unfortunate incident is a staunch reminder that alligators are potentially dangerous animals and should always be treated with respect. It is also a reminder to keep pets on a leash at all times on the island (as required by Town Ordinance) and to keep them away from ponds and pond edges. In light of the recent incident, we ask that all island residents and visitors review and adhere to the following safety rules for alligators listed below. We have also included a short FAQ with answers to the most common questions regarding alligators on Kiawah Island. -Never approach an alligator. Maintain a distance of 60 feet from alligators unless on an elevated dock or boardwalk. -Do not poke, prod, throw things at or otherwise harass alligators. -Do not throw fish scraps or bait into ponds when fishing or crabbing. -Keep children and pets out of ponds and away from pond edges. -Do not approach alligator nests or hatchlings. Female alligators are very vigilant and protective of their young. -Do not retrieve golf balls that land in ponds or near an alligator; take a drop. -Do not attempt to pick up or handle an alligator for any reason. How common are dog/alligator incidents on Kiawah Island? Uncommon. Over the last 20 years, Kiawah has averaged about one incident every three years. Most incidents have occurred when dogs accidentally, or unknowingly, escaped from their owners and entered ponds or approached a pond edge. How common are human/alligator incidents on Kiawah Island? Alligators do not view people as prey and incidents are extremely rare. There have been two minor incidents on Kiawah Island in the last 40 years. Both of these incidents could have been easily avoided if safety rules had been followed. Statewide, there have been a number of documented incidents, but never a fatality. How many alligators live on Kiawah Island? Approximately 600 - 700 alligators live on Kiawah. Kiawah’s alligator population is allowed to fluctuate naturally and has remained stable over the last 10 years. It is safe to assume that there is at least one alligator, usually more, in every water body on the island. What is a nuisance alligator? A nuisance alligator is an individual alligator that has become a significant public safety risk. This typically occurs when an alligator has been fed and has lost its inherent fear of people. All reports of nuisance alligators are evaluated by island biologists. If the alligator meets the nuisance alligator criteria, it is captured and killed using "nuisance" tags issued by SCDNR. There is no other harvest or removal of alligators on Kiawah Island. If an alligator approaches me while fishing or crabbing what should I do? Use caution and remove your lines from the water. If an alligator is hooked on your line, cut the line immediately. Report the incident to the Town of Kiawah Island (843-768-9166) during normal business hours or to KICA Security (843-768-5566) at all other times. Why are alligators important to Kiawah Island? Alligators have been on earth for almost 100 million years and are a vital part of the delicate Kiawah Island ecosystem. Young alligators provide food for many species of birds and mammals, larger alligators help control populations of prey species, and abandoned “gator holes” or wallows provide critical freshwater habitat for countless species of animals. Their presence is an indicator of the health of the island’s lakes and ponds and the island itself. KICA's technicians can make the repairs, when needed, for $37.50 per hour, plus the cost of materials. A one hour minimum charge applies ($37.50). After one hour, the cost is $18.75 per half hour or $37.50 per hour. Find fast and friendly business referrals in the new Member Referral Directory. Explore a variety of services - from home to auto to health and more - rated by your Kiawah friends and neighbors. Do you stay in touch with friends and loved ones on Facebook? Why not? Learn more about the benefits of Facebook and how to sign up.